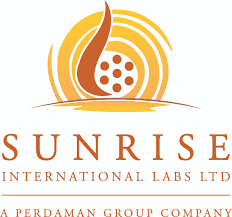 Company history: Established in 1986 in Cherlapally, Hyderabad India, Sunrise International Labs Ltd., which is now a subsidiary of Perdaman Pharmaceuticals Pvt Ltd has been supplying the domestic Indian market and international market with branded and generic pharmaceutical formulations for over 25 years. Sunrise has also been involved in providing contract manufacturing for many national and multinational companies. Sunrise is a WHO, cGMP certified facility with in-house testing facilities, as well as a water treatment plant and well equipped Quality Control, manufacturing , administration and storage departments. Mr. J. Rajamouli , founder of Sunrise International Labs, is working with the current team in an advisory role, sharing his expert knowledge of the pharmaceutical market, having been an integral part of the organisation since its inception in 1986. Venue : Plot No: 100, Phase-II, IDA Cherlapally, Hyderabad-500051, INDIA.